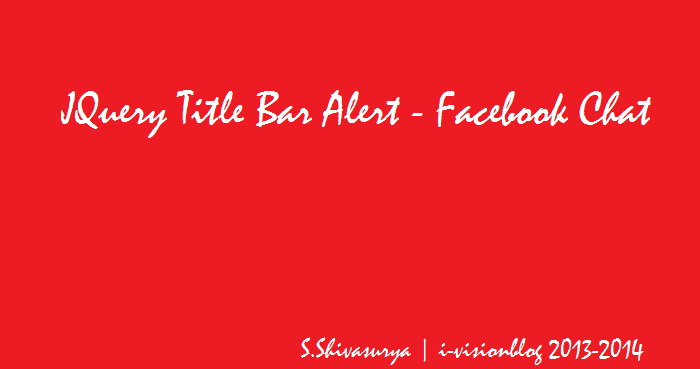 View the Demo Source Code to Implement the tile Bar Alert in your app correspondingly! Why Do they Implement this ? This Tends to be visible for the users and to pull attraction towards the tab! were nowadays many uses notify tone with these to make users to experience more comfortable.While the users are working more than a tab in the system,this may surely help them to interpret them and find difference. see the highlighted code below! this may be useful wherever you want and implementating this! Please Report for Bugs/Corrections/Errors/Help/hugs to s.shivasurya@gmail.com or chat with me in Facebook/G+ and connect with me in Twitter.Share is Care.